Get ready for a promotion as big and beautiful as the state that it's hosted in. 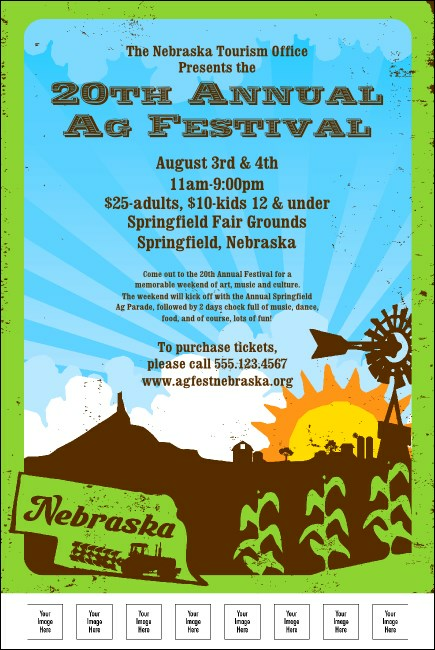 The colorful Nebraska Poster is printed with images of bright blue skies, an ear of corn and Chimney Rock. Each poster has ample space for your custom text and space for eight photos and logos of your own. Make your promotion count with an Event Kit from TicketPrinting.com.